When I think of Khaki I think of the Military trend but it is so much more and it's going to be returning to Spring with a bang! Some say it's the new neutral! 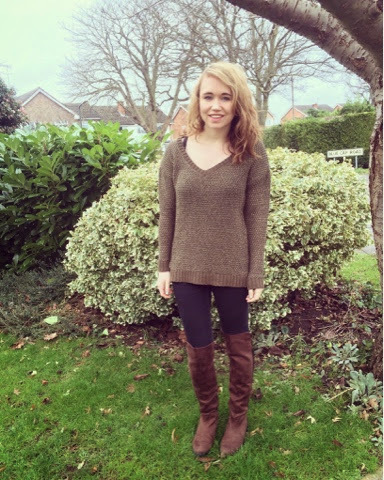 I recently bought this khaki & gold jumper (£10) from french brand Promod that I found in Paris as they have a UK website and a super sale at the moment! There a brand that is affordable without looking cheap, feminine and easy to wear. 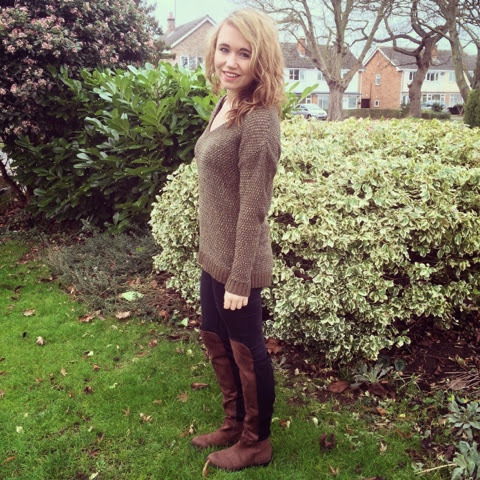 I styled the jumper with black skinnies & my new H&M brown knee high boots (£17) that are so comfy and keep my legs super warm. I made this polyvore board for work as I manage Gemini's Social Media now so I love making them to show off the products!